The frameless, floating glass styling of the pura pivot door will make a statement in any bathroom. The large streamlined handle, matching towel rail and the integral glass shelves are both modern and practical. The smooth glide hinges make for easy door opening. 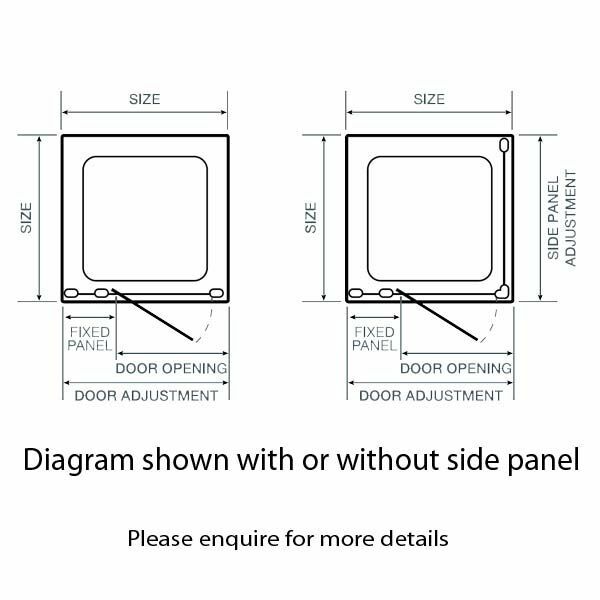 Available as door only for a recess fit or with a side panel for a complete enclosure. Shower tray is supplied separately.